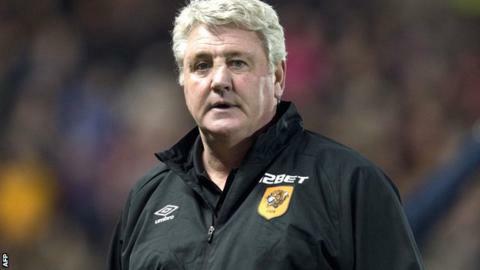 Hull boss Steve Bruce celebrates his 700th game as a manager when he takes his side to Manchester United in the Premier League on Saturday. In his playing career Bruce, 53, captained United to the Double in 1993-94 and won 12 trophies with the club. He was Sheffield United player-boss in 1998 and has managed six other clubs. "I never thought I would do 700 because the early days were very difficult, but I've been in the game a long time and it's been fantastic," he said. Bruce began his playing career at Gillingham and played for Norwich before joining United in 1987. After leaving United he spent two years with Birmingham then moved to the Blades and began a managerial career that has included Huddersfield, two spells with Wigan, Crystal Palace, Birmingham and Sunderland. "I think 988 as a player and 700 as a manager - that's a lot of Saturday afternoons," said Bruce, who is fourth on the list of current managers in terms of Premier League games in charge. "I've managed at a few places now and they're all different. "The one thing you do learn is it's not just managing the team but managing above you in the boardroom, who owns the club and all the rest of it, it's a big learning curve for a young manager and I think that's vitally important too."